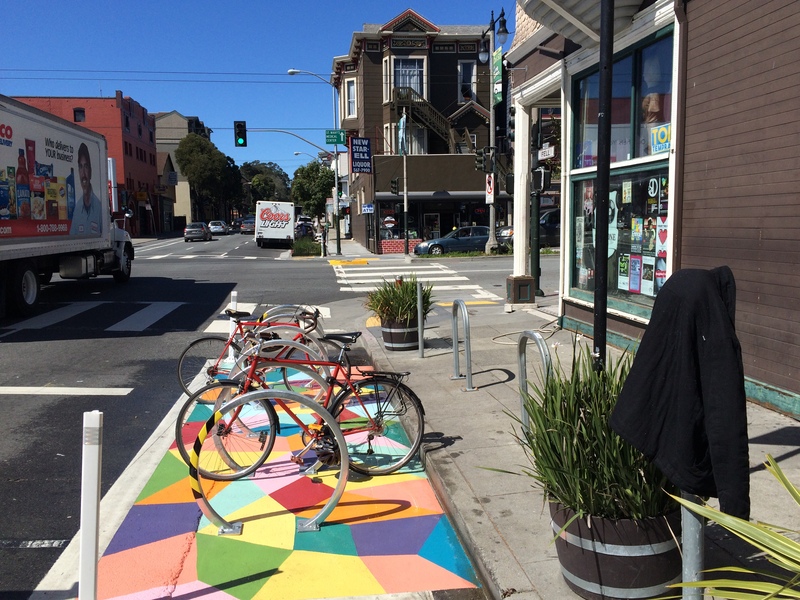 The first bike corral mural, Diamonds on Divis by Kristin Farr, was installed in March 2016 at the corner of Fell and Divisadero streets. I developed the idea for the program and worked with SFMTA engineers and senior staff to get the necessary approvals to proceed with the project. 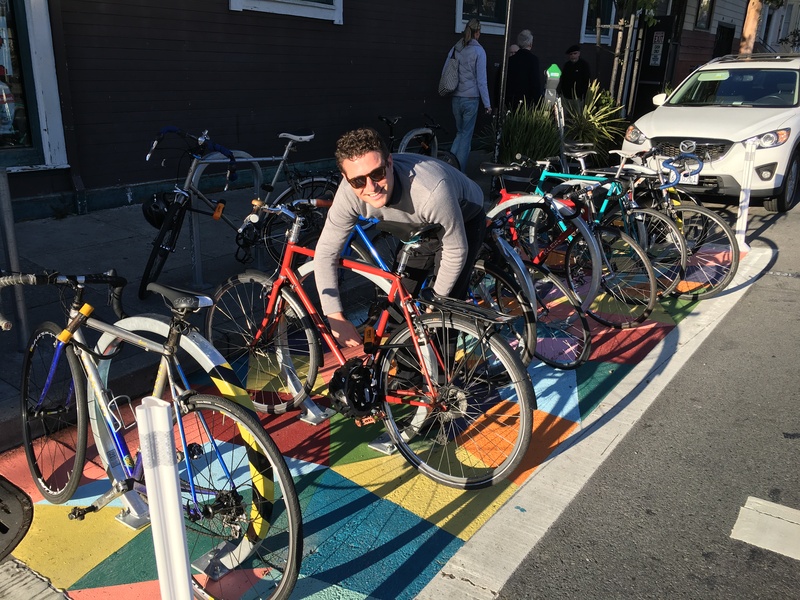 In addition, I independently secured outside funding from Madrone Art Bar, coordinated with other city agencies, and worked with the SF Arts Commission to approve the project. 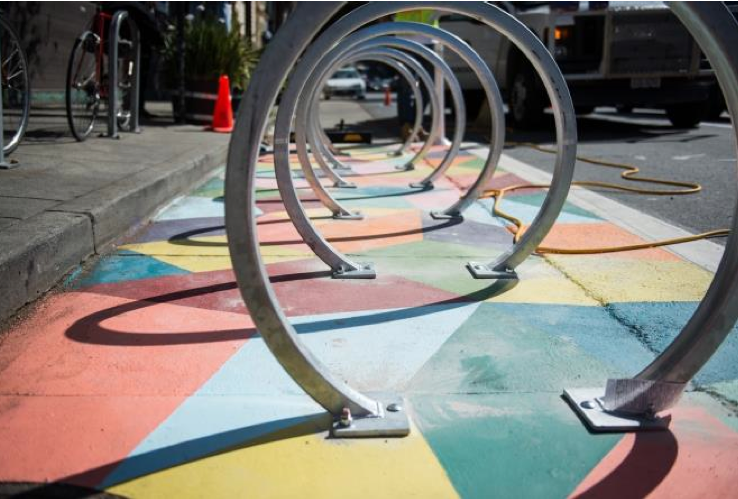 The program has received positive feedback by the community and press and is serving as a model for other interventions to bring public art into on-street facilities in the city.